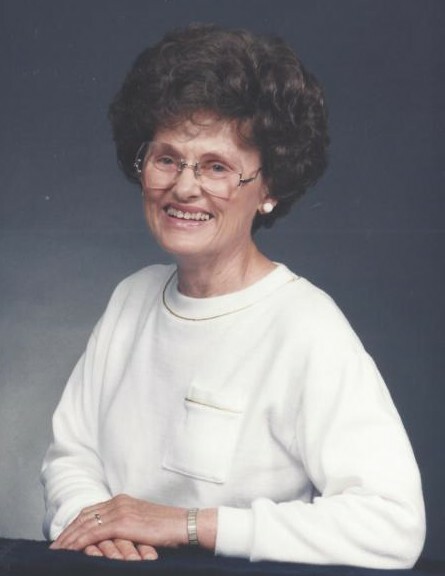 Irma M. Goodell, 89, of Williamsport, went home to be with her Lord and Savior Jesus Christ on Monday, Aug. 27, 2018, at UPMC-Susquehanna. Surviving is her loving husband of 64 years, William H. Goodell Jr.
Born March 4, 1929, in Williamsport, she was a daughter of the late Carl and Margaret (Blair) Rice. Irma was a 1947 graduate of Williamsport High School. She loved to travel out west and go sightseeing, especially enjoying the beautiful scenery that Pennsylvania has to offer. In addition to her husband, she is survived by four children, Denise G. (Gary) Ciriacy, Kimberly (Marc) Steiger, William H. (Tami) Goodell III and Rodney A. (Jeanne) Goodell, all of Williamsport; seven grandchildren; 12 great-grandchildren; and a sister, Betty Bernardi, also of Williamsport. Irma was preceded in death by a grandson, Brice A. Goodell and six siblings, Marion Wirth, Harriett Landis, Arlene Rice, Margaret Shafer, Dave Rice and Paul Rice. A memorial service to honor the life of Irma will be held privately at the convenience of the family. Memorial contributions may be made in Irma's name to Community Baptist Church, 1853 State Route 87, Montoursville, PA 17754.